LumiSplit 1.6 is the smaller truss-mounted version of the LumiSplit 2.10. Armed with advanced RDM features, the 1.6 splitter will give you a whole new perspective on Remote Device Management. Because the new boosters are now visible and configurable from any RDM controller, they enable technicians to manage and configure their devices and fixtures like never before. And the RDM filter per port prevents lighting fixtures from being flooded by undesired RDM packets. 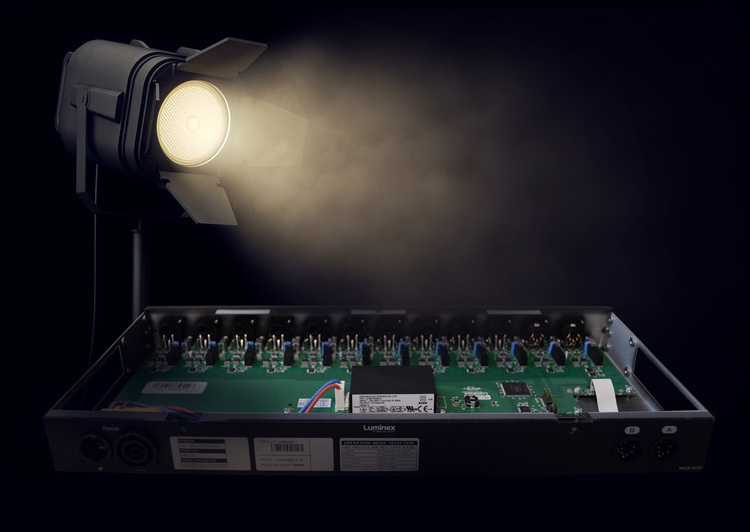 Designed with a robust housing with galvanic and optical isolation per outlet, and Neutrik PowerCon True1 connector, LumiSplit is sure to become a favourite for touring and live events.